Lovastatin (Mevacor), marketed by Merck under the brand name "Mevacor", was the first statin class medication ever to come out on the market in the 1980's. Lovastatin (Mevacor) is also one of the less potent of the statin class of medications, but it's widely taken and generally well tolerated. Daily use of Lovastatin (Mevacor) has been shown to lower LDL-C levels by up to 32%, the risk of unstable angina by 32%, the risk of myocardial infarction by 40% , and the risk of having to undergo revascularization procedures by 33%. Keep in mind these are the highest percentages found, and will not necessarily reflect your progression or your level of benefit from taking Lovastatin (Mevacor). 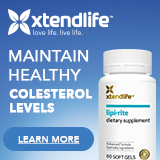 This holds especially true if you only need, for example, an 11% reduction in LDL-C levels to have balanced cholesterol. Just like with weight gain or insurance rates, the people who have the most to gain are also suffer from the worst-case scenarios. One of the nice things about lovastatin (Mevacor) is that it's the oldest statin medication, which means doctors and scientists have had plenty of time to study it since the 1970's when it was first found. While lovastatin (Mevacor) is thought of as reasonably safe, completely safe is not part of the description of any prescription medication. As with any pharmaceutical therapy, you and your doctor should work together in order to find the smallest possible dose that will still get the job done. As with all medications, bigger doses of Lovastatin (Mevacor) are not always better. Pregnant or nursing mothers should never take lovastatin (Mevacor) unless the benefit to the mother clearly justifies the risk to the unborn child. In addition, people with active liver disease or unexplained high levels of liver enzymes in their blood should also not take lovastatin. The guidelines published by Merck state that you'll want to get a blood analysis of liver function before starting or raising the daily dose of lovastatin (Mevacor) just to check for initial unexplained high liver enzymes, as well as 12 weeks after both starting and increasing the daily dosage. If liver problems are going to develop because of Lovastatin (Mevacor), they generally tend to do so within the first three to twelve months, so ongoing careful checking during that first year is a good idea. After this initial period, it's still a good idea to have these blood analyses done again every so often just to check. However, unlike rosuvastatin (Crestor), simvastatin (Zocor) and pravastatin (Pravachol), lovastatin (Mevacor) is generally considered safe to take for people with kidney damage as long as a doctor keeps a close eye on it. Lovastatin (Mevacor) has been tested on children, and has proven relatively safe at a maximum dose of 40 mg per day for boys past puberty and girls who have been menstruating for at least a year down to 10 years of age. These children had heretozygous familial hypercholesterolemia, which means they inherited it from one but not both of their parents. These pediatric clinical studies showed no problems with their development over time. Higher doses and younger children were simply not studied with Lovastatin (Mevacor) due to ethical concerns, but in the studies that were done no problems with development cropped up. If a child starts on a statin class or any lipid-lowering medication, he or she needs to have the daily dosage re-evaluated from time to time in order to make sure development to adulthood is progressing normally and to make sure that the dose is still correct for the child's body weight. Mevacor contains lovastatin, cellulose, lactose, magnesium stearate, starch, and butylated hydroxyanisole (BHA) added as a preservative. The 10 mg Lovastatin (Mevacor) tablet may also contain red ferric oxide and yellow ferric oxide. Keep in mind that these listed ingredients are only good for the brand name "Mevacor". Lovastatin has been on the market long enough to have some alternate brand names and generic formulations. This list does not reflect the list of ingredients for any other version or name for fluvastatin. If you're allergic to anything on this ingredients list, you should not take Mevacor. Instead, work with your doctor to find a generic version, a different statin or other lipid-lowering medication entirely that you're not allergic to. How long for Lovastatin (Mevacor) to work? Lovastatin (Mevacor) reaches its peak concentration in the bloodstream within two to four hours after taking it. Like most other statins except pravastatin (Pravachol), Lovastatin (Mevacor) takes about forty eight hours to clear out of the body to the point it can no longer be detected. Lovastatin (Mevacor) has proven most effective when taken with a low-fat meal in the evening. Lovastatin (Mevacor) is not as effective when taken with a high-fat meal, as the fat binds to the drug in the intestines and keeps it from getting into the bloodstream and doing its job. However, Lovastatin (Mevacor) also doesn't get into the circulatory system as well on an empty stomach. Evening is when most cholesterol synthesis takes place, so making sure that Lovastatin (Mevacor) is in your system at this time is a good idea, in addition to which lovastatin (Mevacor) has been clinically proven to work better under such conditions. Like fluvastatin (Lescol), simvastatin (Zocor), and atorvastatin (Lipitor), fluvastatin (Lescol) shows an initial therapeutic response within two weeks. This is reasonably fast, but not as fast as the two speediest members of the statin class, rosuvastatin (Crestor) and pravastatin (Pravachol), which both tend to show an initial therapeutic response at one week. Avoid taking lovastatin (Mevacor) at the same time as itraconazole, ketoconazole, erythromycin, clarithromycin, telithromycin, HIV protease inhibitors, nefazodone, or more than a quart a day of grapefruit juice if at all possible. All of these increase the levels of lovastatin (Mevacor) in the blood to dangerous levels. Myopathy/rhabdomyolysis become a lot more likely the higher the level of medication within your system. The lovastatin (Mevacor) dosage should not go higher than 20 mg per day if you're taking danazole, cyclosporine, gemfibrozil, fenofibrate or niacin at the same time. Again, this does cause the levels of lovastatin in the blood to go up, but not to as great a degree as the first set of drugs. You and your doctor should keep a careful eye on it. The daily dose of lovastatin (Mevacor) should not go higher than 40 mg per day if you're taking amiodarone or verapamil at the same time. These two are drugs that also work on cardiovascular problems, but going higher than 40 mg of lovastatin (Mevacor) per day is a really bad idea that should only be done if the benefits of both medication is greater than the risk of myopathy or rhabdomyolysis. In addition, you should watch it carefully if you have to take cyclosporine, warfarin, or oral contraceptives at the same time as lovastatin (Mevacor). We know cyclosporine bears watching from its interactions with other statin class medications, warfarin always bears watching because it can cause uncontrollable bleeding if it gets out of hand, and I couldn't find any studies on interactions with oral contraceptives, which means watch it anyway. Remember, when taking lovastatin (Mevacor) along with antacids, cholestyramine or colestipol, don't take them at the same time. Space the doses at least four hours apart, taking the lovastatin (Mevacor) at the later time. Otherwise the lovastatin could bind to the other medication in the intestines, causing your expensive medication to be flushed right out of the body without doing you one bit of good. Like all medications, lovastatin (Mevacor) comes with its own collection of potential side effects. In this case those are flatulence, diarrhea, uncomplicated myalgia (your muscles ache, cramp or hurt for no particular reason), headache, abdominal pains and constipation, along with way too many more to list . Those are the most likely ones. Of course, there's also the incredibly small risk of myopathy/rhabdomyolysis so popular among the statin class of medications. That means that yes, you do have to report muscle aches, cramps or tenderness to your doctor each and every time they happen, but in all likelihood it'll be nothing. Ah, anxiety, just what the doctor ordered. There's a little information on lovastatin (Mevacor) overdose. A few people who've taken up to five to six milligrams of Lovastatin (Mevacor) at one time really had nothing happen to them and haven't seemed to suffer any permanent damage from it. It's difficult to ethically do overdose research on humans after all. "Here, would you take this drug until you die from it so we can tell others what NOT to do?" Doesn't exactly work with most systems of ethics, morals or legal restrictions. Researchers found out that an one-time overdose of more than 15 grams of lovastatin (Mevacor) can kill a rat, which should be more than is ever in any given home at once. The best I could find was to get the person who overdosed to the hospital, treat the symptoms if and when they come up, and do lots of laboratory tests to check for liver and kidney function. Sometimes medication overdose is treated with hemodialysis on general principle, but nobody knows if that will do any good for statins. Lovastatin (Mevacor) prescriptions are filled by a pharmacy technician and then checked by a pharmacist for accuracy before being handed to you. However, the upshot is that both pharmacy technicians and pharmacists are human and can make errors, so here's the description for all of the dosages of Mevacor. Please, please check your medication when you get it from the pharmacy before you take it. It may save your life. The 10 mg dosage of Mevacor is a peach, octagonal tablet with "MSD 730" imprinted on one side and "MEVACOR" on the other. The 20 mg dosage of Mevacor is a light blue, octagonal tablet with "MSD 731" imprinted on one side and "MEVACOR" on the other. The 40 mg dosage of Mevacor is a green, octagonal tablet with "MSD 732" imprinted one one side and "MEVACOR" on the other. Keep in mind that these descriptions are only good for the brand name "Mevacor". Lovastatin marketed under any other brand name is legally barred from looking the same as Mevacor, so please get to know what your medication should look like. Lovastatin should be stored between 5 and 30 degrees C (41 to 86 degrees F) with excursions permitted between 15 and 30 degrees C (59 to 86 degrees F). While I hope your house is generally somewhere between those two temperatures, you might want to store it somewhere like a cool pantry or medicine cabinet. Don't store Lovastatin (Mevacor) in your refrigerator or on the sunniest window ledge you can find. In addition, protect Lovastatin (Mevacor) from light and moisture by keeping it in tinted plastic and remembering to close the cap. Lovastatin (Mevacor) is one of the safer, better studied and most understood statin class medications in use today. Lovastatin (Mevacor) is taken daily by millions of people and is generally well tolerated, with many people reporting no side effects whatsoever. However, Lovastatin (Mevacor) is still a prescription drug, which means that there's a reason a doctor has to agree to give it to you. That doctor needs to monitor your health on a regular basis to ensure you're not getting any of the more unpleasant side effects. When used properly, lovastatin (Mevacor) decreases the risks of all sorts of cardiovascular unpleasantness, allowing you to move forward with a full life and less worry.